welding vary well. Any help is appreciated. I usually work on Studebakers. Valves and cams for the gasoline M136 engine are available from Niemöller in Germany, the MB Classic Center in Irvine, CA, or your local MB dealer or MB on-line parts distributor. 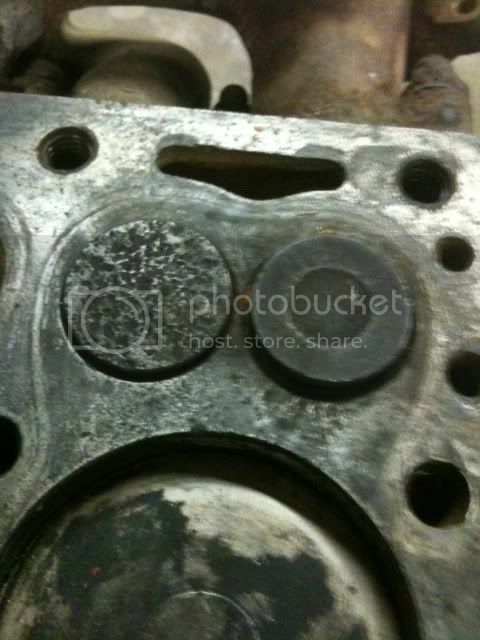 You will need to know the engine ID number to verify the correct fit (i.e. M136.VI). One exhaust valve for the M136 engine is part number 136 053 08 05 and is available for $28.13 at one of the MB on-line parts distributors that I checked. A M136 camshaft PN 181 051 04 11 is available for $232.50. These are for a specific model 170Vb and may not be the same part number or price for your engine. Is the 170vb cam the same as the 180 engine? According the the MB technical manual the camshaft should be the same for the 170Va, 170Vb, 170S, 170Sb, 170S-V and 180 (version w/ M136 engine) and believe it or not the diesel versions of the same models. I would call the MB Classic Center in Irvine, CA to confirm. Talk to Woody at 949.598.4845. As you probably already know, your engine is correct for an early 180 and it was cast on December 14, 1953. I would suspect that your 180 has a chassis date in '54. You are my hero!! Can't thank you enough! I think that the 170Vb, 170Sb and 170S-V have the same camshaft as the first 180. These engines also have another type of oil pump and chain driven camshaft. Thanks for the correction Lars. The difference in camshafts was due to the change from timing gears (earlier models) to timing chains (later model versions). The 170Vb for example was produced with both camshafts because the timing gear change happened during the production run of that model. I would agree with you that the 180 camshaft should be the same as the 170Vb, 170Sb, and 170S-V models. But I still suggested that Dave confirm the camshaft part number for his specific engine with the MB Classic Center. Thank guys for the clearification. Just an update. I was not able to find a replacement camshaft. 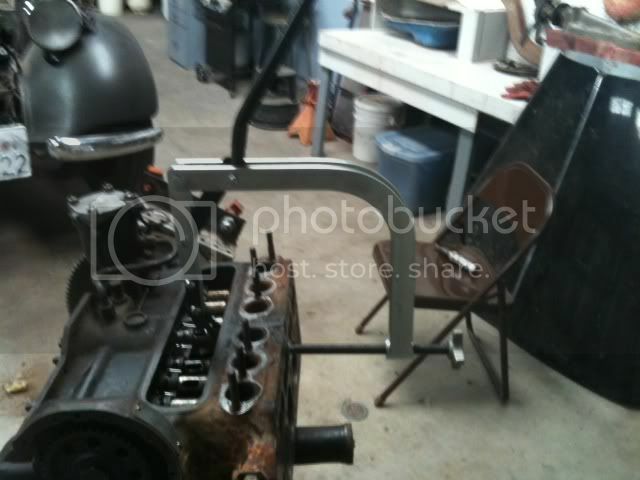 But I was able to get the camshaft repaired at http://www.berrycam.com/ for less than $100 (US). Looks like new. 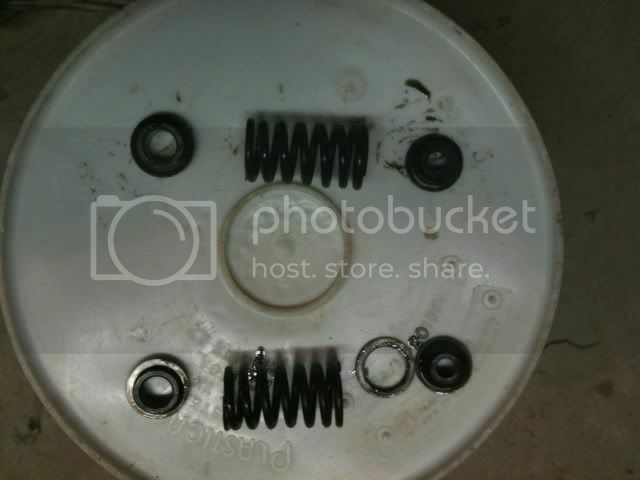 Next problem, when putting the valve springs back in: I notice 4 springs have an extra washer. I went though all the pdf manuals and there are not picture of the valve springs from the 180 engine. I am guessing they are to make the intake valves have a higher spring rate. Anyway I will take some pictures. May be someone can give me some pointers. Here are the two spring sets side by site. Now I am thinking the one with the washer should go on the exhaust valves. I don't think the four extra washers are original. I'd check your springs against the specs. The engine was rebuilt in the 1970's, might have been a cheep fix.